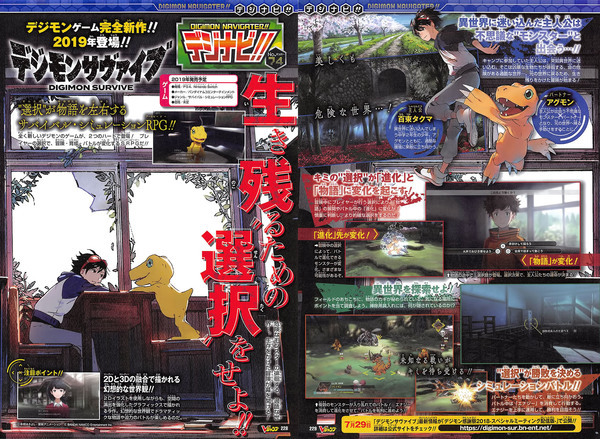 The latest issue of the Weekly Famitsu has revealed how the graphics and artwork of Digimon Survive looks like. As we’ve reported yesterday, Digimon Survive is a new SRPG that blends together the worlds of 2D and 3D graphics. It’s coming to Nintendo Switch in early 2019 in Japan.